"I have subscribed to the Premium membership and downloaded many Spotify songs for offline playback on my computer. I know they exist on somewhere of my hard drive, but I can't seem to locate them after spending a long time. Anyone know how to extract the MP3 Music from Spotify? I'd like to copy the MP3 songs to my iTunes library." Spotify is one of the best online music streaming services. With Premium, it enables users to enjoy songs offline. However, unlike other local audio files, they are encrypted in OGG Vorbis format with DRM protection, users won't be able to access to them. That is to say they are only cached for local listening. You are almost impossible to transfer and distribute them anywhere. This is not good at all. To solve this pain, I will offer the best way to decrypt Spotify songs. To get the DRM free files, you can either record them by a free Spotify ripper or decrypt them directly with a professional one. For example, you can use the free tools Aktiv MP3 Recorder, Free Sound Recorder, Audacity, Ardour, Traverso. They take real time to download the songs one by one manually. If you have hundreds of songs, it will surely waste you lots of precious time. In addition, the quality can't be guaranteed as it is related to the network, playback speaker, computer performance. 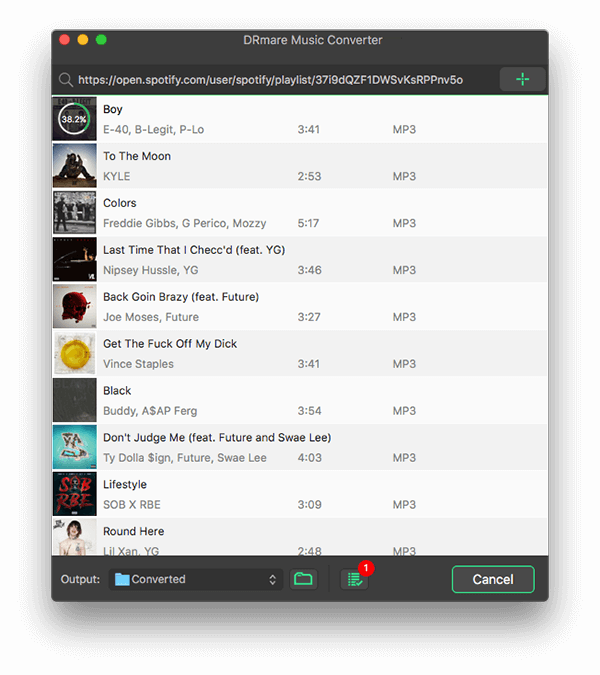 If you want to download Spotify music to your computer effectively while keeping the original quality, we'd recommend you try a professional tool to crack them. DRmare MP3 Extractor for Spotify is one of the top-notch audio rippers. It can batch import and crack DRM with up to 5X faster speed. Also, it perform an 1:1 copy from source Spotify to new audio files without touching the raw music files. Besides, it combines multiple other superior features for enhancing your audio converting experience. As long as you are willing to spend $9.9, you can enjoy all these benefits which can't be found elsewhere. 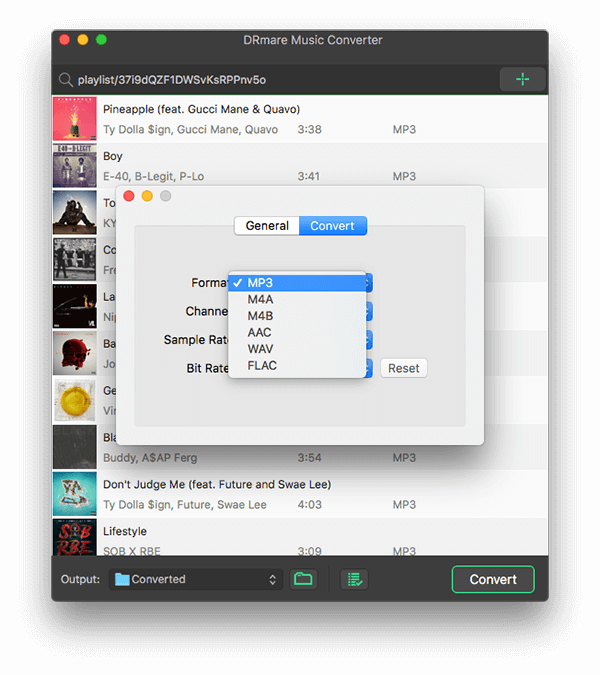 DRmare Spotify Downloader provides a one stop solution to crack DRM, converting the songs, save the new files to your local hard drives of your Windows/Mac computers. Undoubtedly this is the most convenient way I ever found before. Still not sure how does it work? Just follow these steps. 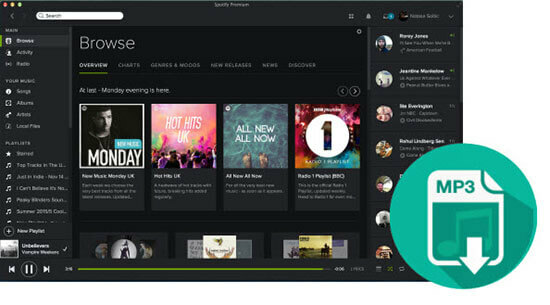 First off, you can open DRmare software, the Spotify app will be launched directly on your computer. If you have the link of the songs/playlists you want to convert, you can find and paste it to the address bar of DRmare software. Though DRmare software supports multiple formats MP3, M4A, M4B, FLAC, WAV, AAC, but the best one is MP3 which is the default option. It has a lot of pros compared to other formats such as small size, high quality, wild compatibility. Generally you don't have to do anything to select the format. But if you have changed the settings before, you can go to the "Preferences" window of the software to set it back. 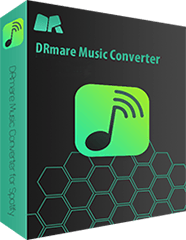 When everything is ready, please slightly tap "Convert", DRmare program will start to decode all of the songs, playlists you have imported and encode the proprietary OGG format to popular audio format. It takes only a few minutes for a few songs. If you have imported multiple files, DRmare will convert them automatically, you don't have to sit in front of the computer, but just leave it on. The following video guide will walk you through the steps in a user-friendly way, you may just spend a few minutes to take a look at it. After extracting the Spotify music to your computer, you can play them on any players such as iTunes. Also, you can transfer to any Android mobile devices, MP3 players via USB. 1. Launch iTunes on your computer, then click "File" menu and then click "Add File to Library". 2. After that, you can select all your converted Spotify files and click "OK". 3. Your files will be imported and then you can play them from the iTunes. 1. Connect your MP3 players, mobile devices to the computer via USB. If your device is not recognized, please enable the USB debug mode on your device. 2. Your device should show up on the Windows explorer or the Mac Finder. 3. 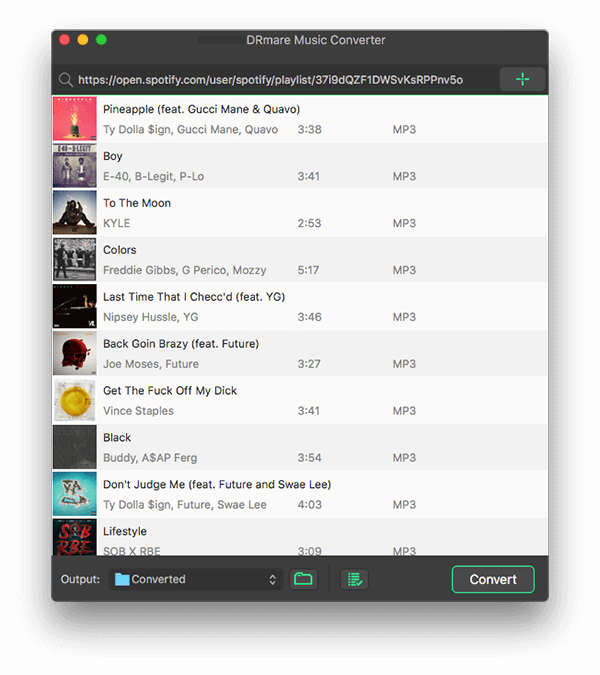 Open then device and then you can copy and paste to transfer the Spotify music directly.